Dubai: Hundreds of entrepreneurs, venture capitalists, finance professionals and government officials gathered at the Zabeel Saray hotel in Dubai on Tuesday to draw this year’s DIFC financial technology accelerator programme to a close. All 22 finalists presented to a packed auditorium of guests, hoping to impress one of the many financiers or banking executives in the audience. 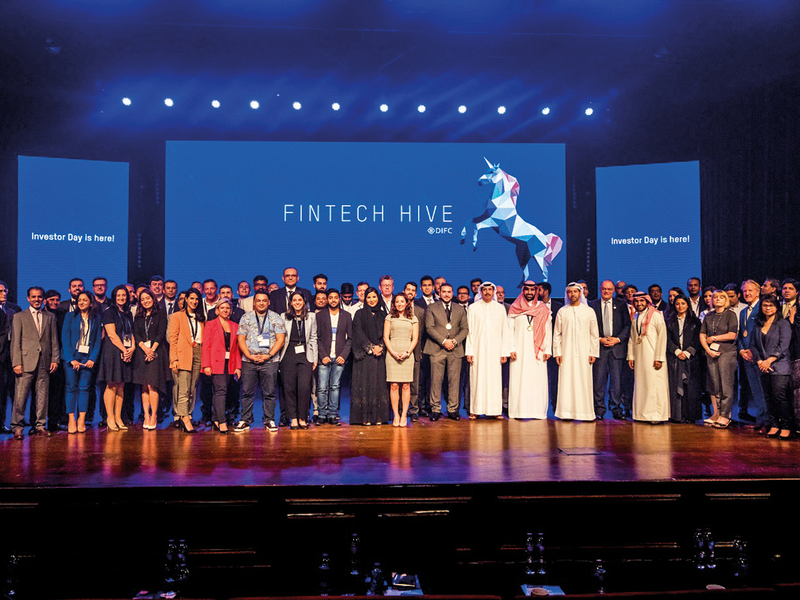 The annual DIFC FinTech Hive is a three-month programme designed to mentor and connect young technology companies with potential partners in the financial and legal industries. Launched together with Accenture in 2017, the programme has almost doubled in size for its 2018 run, which began in August and ended on November 27. Among the ranks of the finalists, which grew from 11 last year, were a number of Islamic financial technology companies, reflecting the increasing demand for Sharia-compliant money services, a handful of regulatory technology firms helping banks with anti-money laundering (AML) issues, and technology start-ups working in the insurance sector. “The opportunity is limitless,” said Raja Al Mazrouei, executive vice president of the DIFC FinTech Hive. “There’s huge engagement, and huge demand from institutions,” she added. Al Mazrouei told Gulf News in an interview that this year’s batch of start-ups had produced 20 proof of concepts (POCs), of which four were executed during the course of the programme. PoCs are typically used to test or prove the viability of a company’s idea, often to corporate investors. At the event, DIFC announced it would commit an additional Dh10 million towards the expansion of the FinTech Hive workspace. Elsewhere, representatives from FinTech centres in Hong Kong and Singapore spoke to attendees, offering a vision of what is possible with a thriving technology sector. In the first half of 2018, over $838.1 million (Dh3.08 billion) flowed in to Singaporean FinTech firms. “I think if you look at the global FinTech world…Dubai in the last two or three years has really made a name for itself, it’s gotten a lot of international…attention,” said Sunil Malhotra, co-founder of ebooc, one of the finalists. Financial partners this year include Emirates NBD, First Abu Dhabi Bank (FAB), HSBC, Standard Chartered and Visa, while insurance partners include AIG and Zurich Insurance. Al Mazrouei said that in 2019, she hoped to work more closely with telecommunications firm Etisalat, and universities such as the American University of Sharjah, to broaden the system surrounding the FinTech Hive.